In the iPhone vs. Android drama, it’s easy to pit one side against the other. Closed architecture vs. open source. Vendor lock-in vs. consumer choice. iOS vs. Android. But a new effort by retailers is one thing that actually unites either side’s fanboys towards a common cause. It’s called CurrentC. The effort is a payment network created by an organization of vendors known as the Merchant Customer Exchange (MCX), and aims to take credit card processors out of the equation. Payments are processed by MCX itself and then sent directly to your bank for payment. MCX partners read like a who’s who of companies that have refused to accept Apple Pay: Best Buy, CVS, Rite Aid, and Walmart, plus about 50 other major national stores and chains. Target is part of MCX too, however it's playing both sides of the fence (at least for now). CurrentC payments are processed using a QR code that is displayed on the payment terminal. 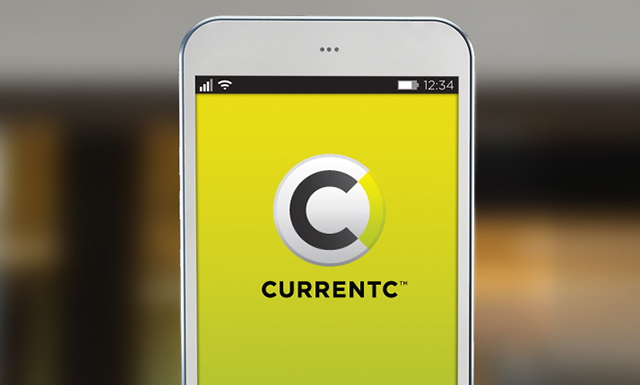 To make the payment, the customer scans that QR code using his or her mobile device from within the CurrentC app. MCX is also allowing retailers to gather information on customer purchasing habits in the background for marketing purposes. As an Android user, you might be saying "why should I care about these retailers banning Apple Pay?" Retailers from these chains are turning off NFC at the point of sale, meaning that no one, whether you’re using your NFC-enabled credit or debit card, Google Wallet, or Apple Pay, will be able to use contactless payment at all. This NFC ban is bad for everyone. Apple and Google’s payment systems offer anonymous payment, and the retailer just knows they’re getting paid. While earlier reporting does seem to indicate that Apple has bigger plans for NFC and Apple Pay, in the end the payment is still anonymous. Let’s also consider the user experience. With Apple Pay, all you need to do is get out your phone and place your thumb on the Touch ID sensor. You also have the choice of payment method. Perhaps you don’t want to pay for the item right away through a debit card? That’s okay, use your credit card instead. CurrentC doesn’t give you this choice. It’s either debit, or store prepaid card. Since they’re giving the finger to the credit card processors, you can sure as hell bet you won’t find your Visa, MasterCard, Discover, or American Express here. Plus the whole process is overly complicated and likely problem-prone. What if your camera lens is dirty? It’s going to have problems focusing on that QR code, slowing things down. What if the app has trouble connecting to MCX’s servers? Too bad, the payment’s going to fail. And the fact that your information is being collected and likely shared among the group’s partners? No thank you, I control how my information is used and collected. I’m also skeptical of a payment technology that is tied directly to my bank account using non-secure technologies. How secure is a QR code or the cloud, really? I understand that the QR code is for "one time use," however the payment process is now essentially happening outside the device especially when it goes to the cloud. With Apple Pay, payment processing occurs within the device through the secure element. You tell me which one you’d think is more secure. CurrentC is overly complicated, and just leaves too many opportunities for something to go wrong, or a hacker to make their way in. That seems counterproductive. So what can you do? First off, let the companies know. Through social media and by email (many already are). Next, change your shopping habits. Support places that support consumer choice when it comes to payments. It doesn’t matter whether you own an iPhone or an Android device, because this effort by certain retailers affects us all. And most of all, start using Apple Pay or Google Wallet!